When a friend dies, he always leaves a big hole in our heart. 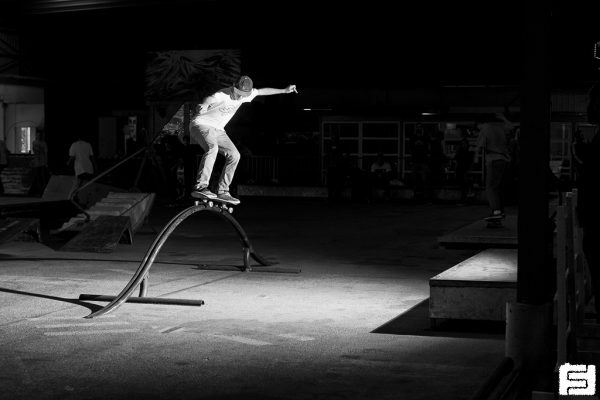 When this friend is a skateboarder, every skateboarder is losing a member of his family. 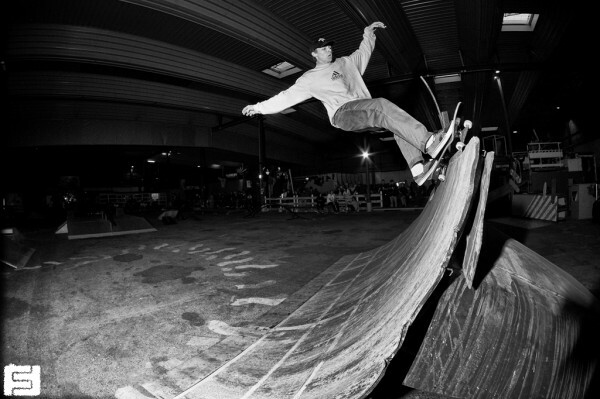 Christophe Betille was a friend and a damn good skateboarder. 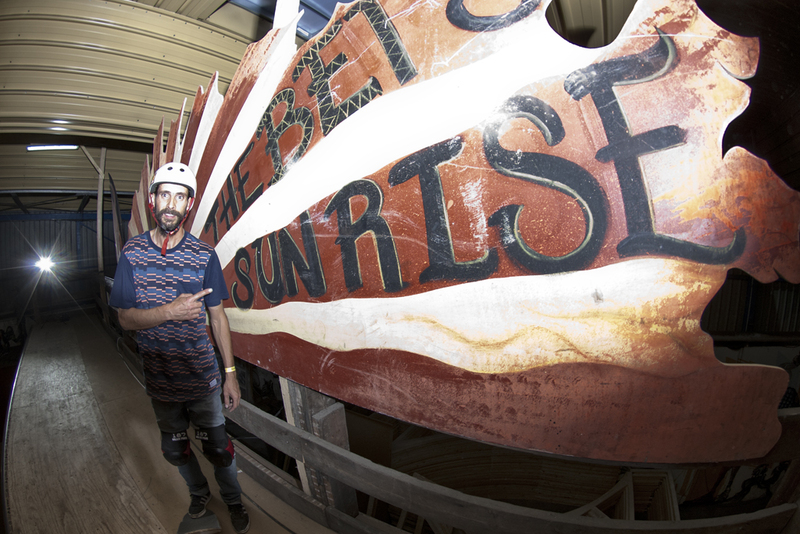 He was also a shop owner, a catalyst, a ramp builder, a surfer, a leader and a champ. Since his passing in 2009, the wound has never healed..
Pierre Ghighlia, his partner with Sirocco skateshop from the salad days, came up with the idea of a memorial jam to be held on October 11th at the Darwin skatepark in Bordeaux. Christophe loved Seb Daurel and would have enjoyed the Darwin’s spirit for sure. 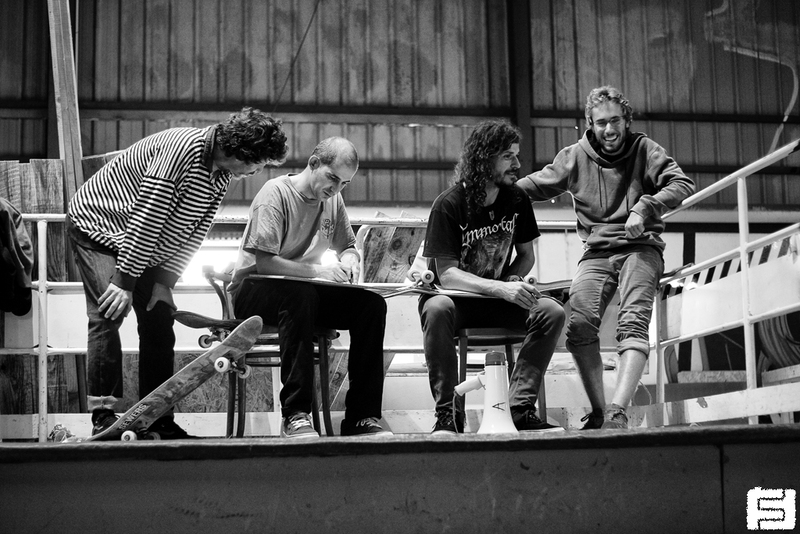 Pierrot teamed up with Antiz, Madneom and La Brigade to transform the hangar into an exposition place. Photos, boards, interview prints were carefully hung for public pleasure. The Pierre Andre skate house was transformed into a cinema where you could crash in a sofa to watch footage from the 70’s and 80’s from an old VCR… rad. 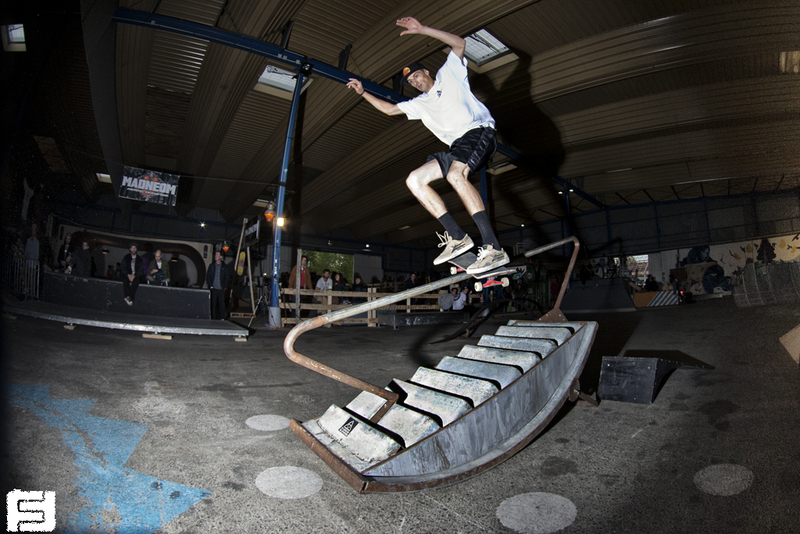 Saturday, October 11th, 2014 started with a fun street contest… The park was upgraded with the fabulous Madneom’s obstacles, rusted steel and awesome shape, and Seb Daurel and his crew transformed an old van into a great pyramid ( the owner of the van was somewhat pissed when he found out…) The Magenta team put on quite a show during the practice. 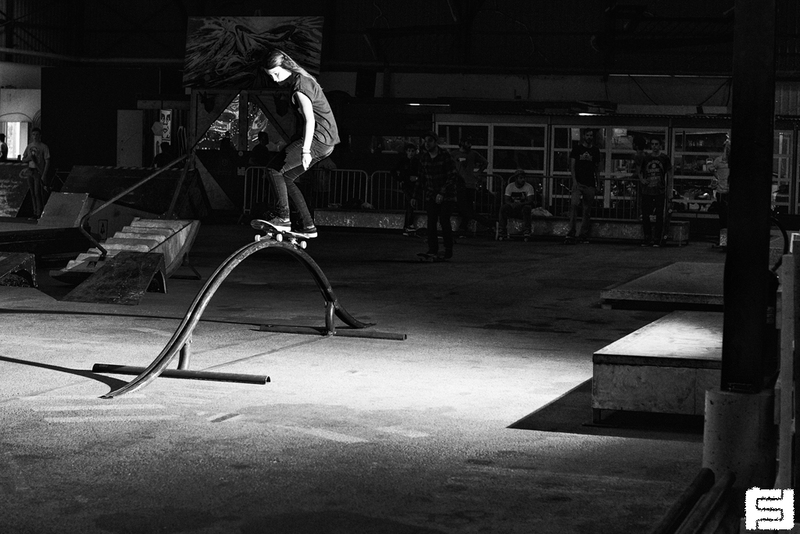 The contest rules were two against two and the goal was to skate in sync… loads of fun! 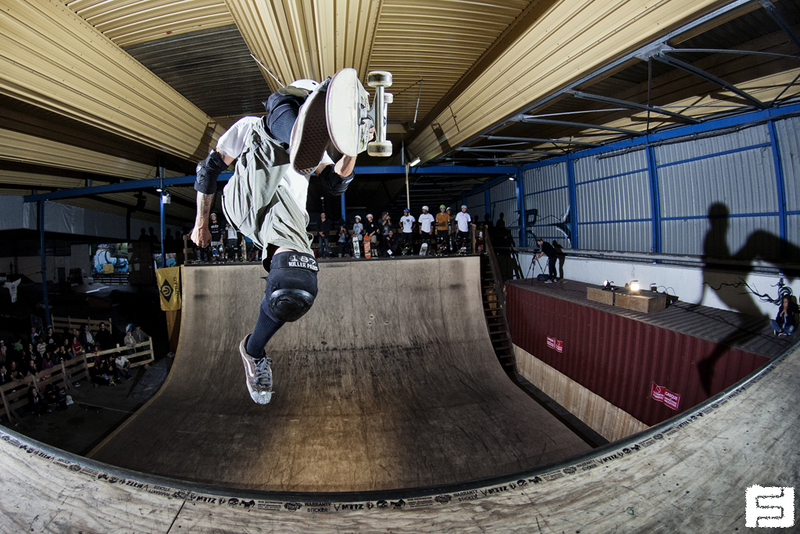 Then we headed to the vert ramp where twenty riders took great care of Bet’s old passion! 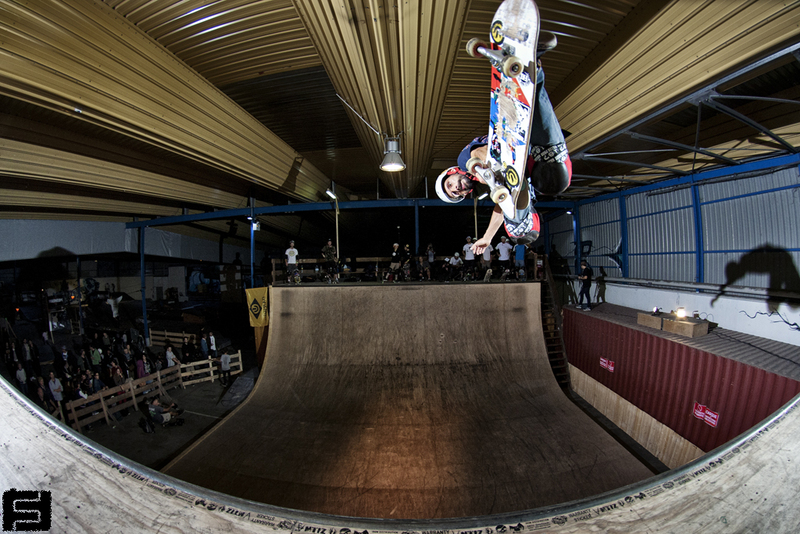 The rad session included Bet’s old partner Bruno Rouland who drove all the way from Marseille to attend that special jam, the motley crew were a mix of levels and ages, this was exactly what Christophe was aiming to reach. Peter Boccalini. Lien to tail. We ended the day like Bets would have loved it… a huge table in the middle of the park, with a lot of food and wine… and lots of smiles! This was the first Bets Brigade day, and definitely not the last one. I miss him dearly and to share this with so many friends will help to heal the wound for sure. Peter Boccalini. 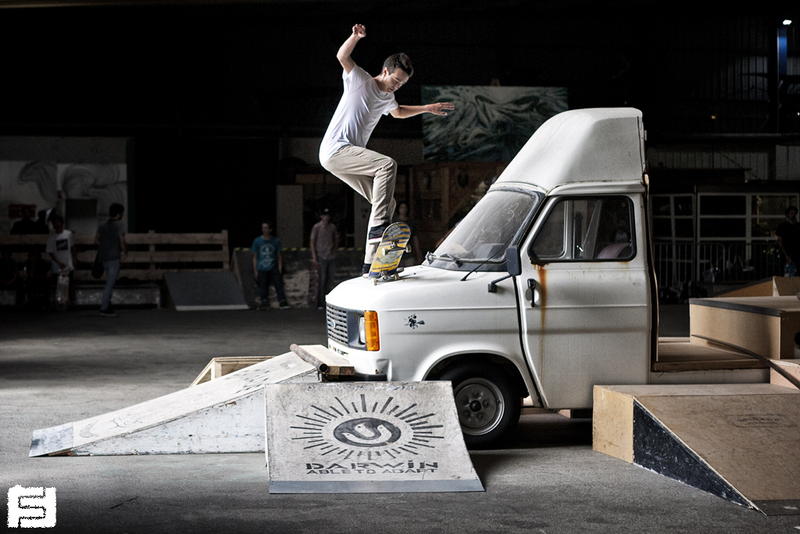 Ollie over truck. Amelien Foures. Manual on the truck. Damien Rouiller. Frontside boardslide on the handrail. Jeremie Plisson. Crail 5-0 to fakie.